The Russian Markets don’t sell anything Russian, it’s called that because the Russians built it years ago. 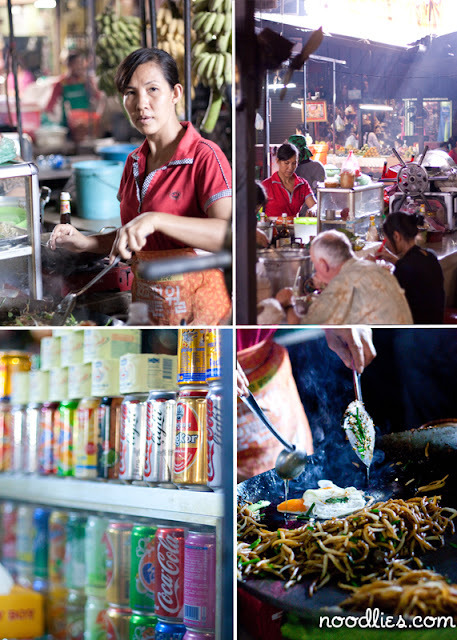 These days it’s a market that caters for locals and tourists, so you can get t-shirts, souvenirs, silverware, fruits as well as some great snacks/lunch in the central food section. We came at lunch time and the food area was lit naturally by openings in the roof, I’m guessing this keeps electricity costs and temperature down. 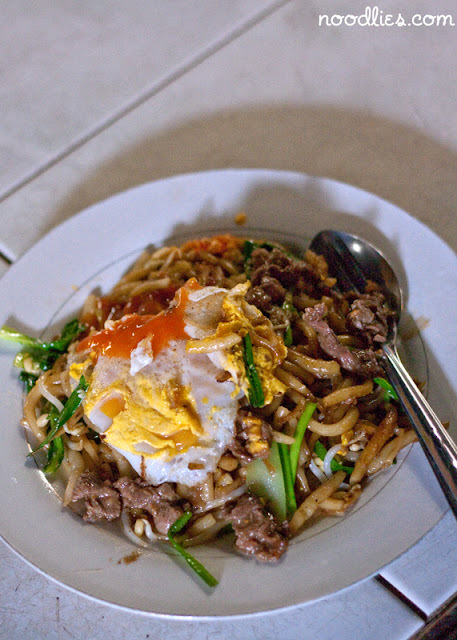 We had the most delicious rice noodles, these were about 5cm long and stirred fried with vegetables and in our case beef and with a fried egg on top. But it’s the wonderful sauce and residue flavour that comes from cooking hundreds of bowls a day in the same wok that makes the noodles so delicious. Here’s the video of my noodle lady making me lunch. Sounds like a great market! I'm away in Jervis Bay on dial up and cannot watch any of your videos…so sad!